Why consider a Jeep lease in Chelsea, Michigan? 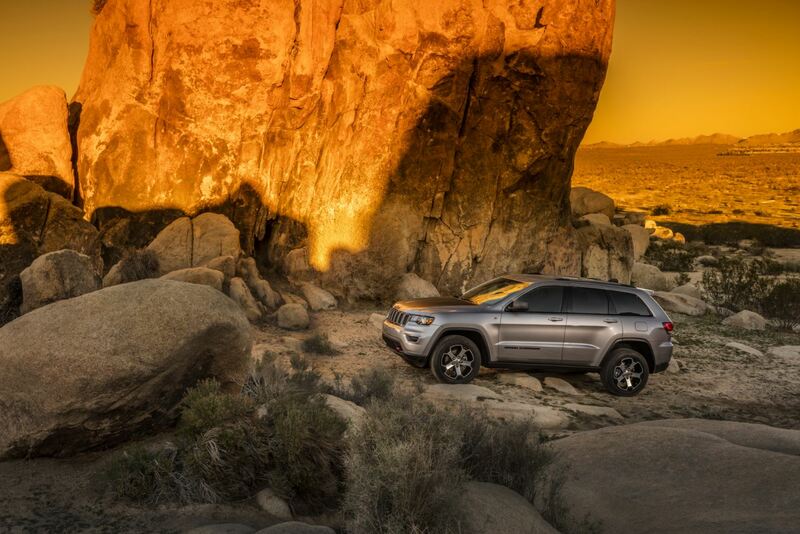 Leasing the ultimate adventure vehicle from Golling Chrysler Dodge Jeep Ram of Chelsea is the perfect choice for the driver who lives in the moment, and is always excited about what's up the road. A Jeep lease lets you trade up for a more expensive model, often with a lower monthly car payment than if you'd bought. Commitment with an auto lease is limited, usually between 24 and 48 months, with end of lease options to buy or sign another auto lease. When leasing, it pays to know your driving habits, so you can agree to a mileage plan that suits you, or pay for extra miles up front. For Jeep enthusiasts, leasing an iconic, terrain-tough Jeep Wrangler for a couple of years, then swapping it for the majestic Grand Cherokee can be the perfect way to indulge your Jeep love. Or start with the playful, practical Jeep Renegade, and move on to a smooth-riding, tech-savvy Jeep Compass from Golling Chrysler Dodge Jeep Ram of Chelsea. You can lease your way through the entire fun loving, high-performing Jeep Family of SUVs from our dealership in Chelsea, MI. Maybe your heart beats true for just one special Jeep SUV. If you can't wait to customize your Jeep Cherokee, or plan to drive across country every chance you get, Jeep financing may be more your speed. The finance center at Golling Chrysler Dodge Jeep Ram of Chelsea is well connected with institutional lenders in Chelsea, MI. Our experts can help you find the auto loan that works for you. Get a leg up on car financing and find out the trade in value of your current vehicle with our online trade in appraisal form.